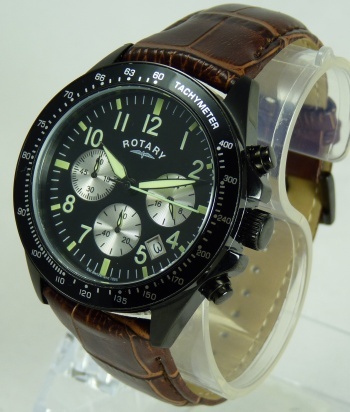 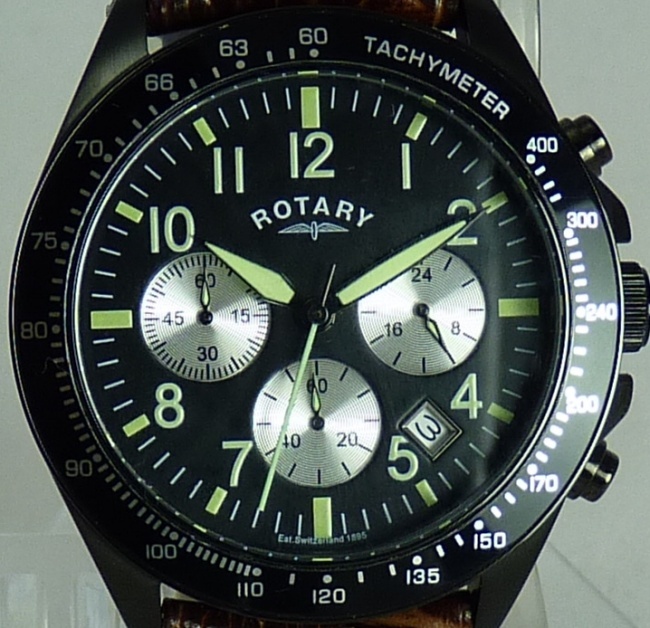 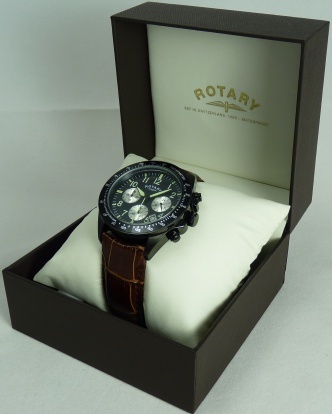 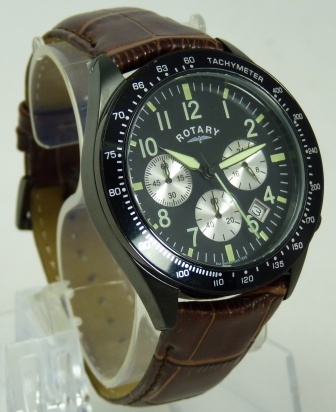 Black clasp, a real quality watch and presented in genuine Rotary presentation case. 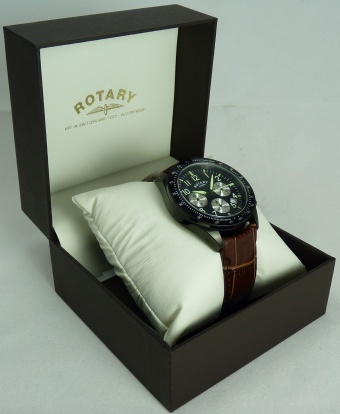 This watch retails for £149.99 RRP in high street retailers. 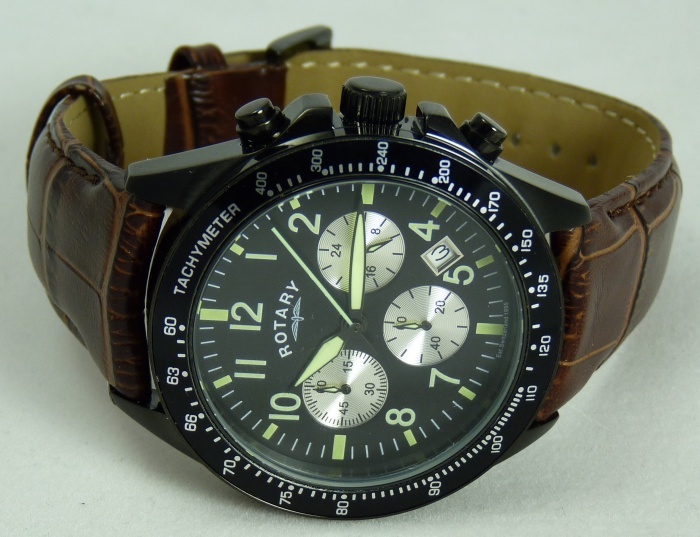 Wonderfully detailed multi-dual display face with Stopwatch, Date Display, Tachymeter Bezel, and Superb Luminous hands and hour markers.